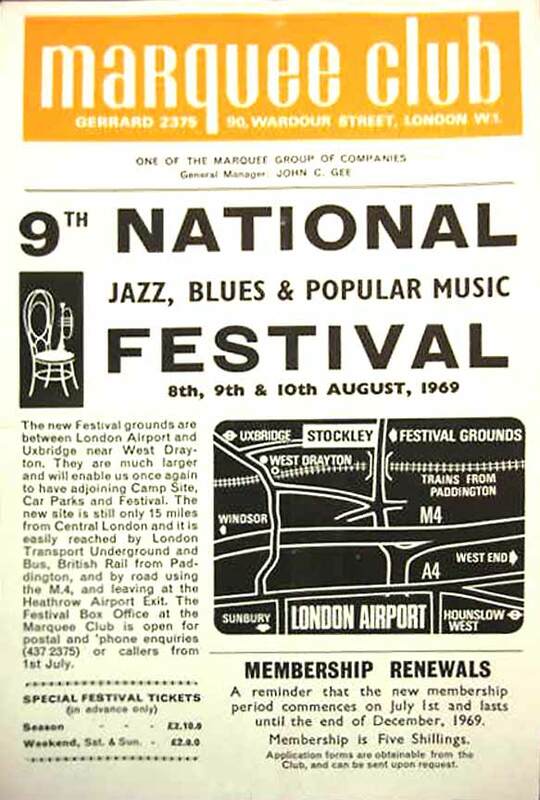 In 1969 the Festival relocated yet again and in fact had trouble finding a new home . Plans were made to move to West Drayton in Middlesex but the local council refused permission to use the site, so the venue was hurriedly changed to East Sussex , thus the changes made to the poster seen in the link below. This did not help with setting up the stage or equipment and there were power problems on the opening night during Soft Machine's set - although this was attributed to a fault in the Soft's gear. 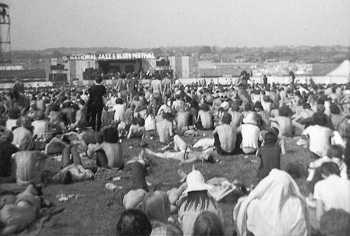 This was further compounded by another break of over an hour due to lack of power , which led to Pink Floyd playing their set in the early hours of Saturday morning when a good part of the audience had gone to sleep. The weather was HOT, in fact the festival ran out of water at one stage - you can read more about this in the press accounts. What is noticeable is that the festival organizers were still trying to squeeze in as many acts as possible in as short a time as possible- sets were still ridiculously short and it barely gave some bands time to warm up. The flip side to this was that the festival goer got to see many new bands for a very modest price and a lot of new talent obtained exposure to a large audience - and if you cut it, then you had a very good boost to your career, with lots of press coverage in all the major rock papers. The Menu below gives you access to all the info I have available to date. The local press accounts are quite informative , but I'm looking for the music press reviews , so if anyone can help out there, I'd be stoked. The Marquee club handout and other pamphlets are courtesy of Wolfgang Fuerst and Pieter van der Wal, to whom I extend my heartfelt thanks. I received this e-mail from drummer Richard Thomas, who played in the band Breakthru on Saturday afternoon who had this to say about the festival. "I loved playing that one. 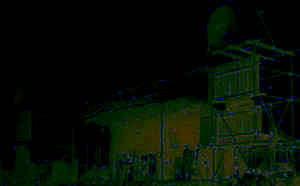 It was the first big festival I played at, Breakthru was a loud raucous group, playing a mixture of soul and prog rock. I remember we came on after a couple of pretty dreary acts... I can't be sure but looking it your timeline I suspect Roy Harper played in front of us. (He was pretty dreary) Anyway I remember that as soon as we started playing the press rushed forward taking lots of pics and the crowd was very happy to hear some noise! The band that really impressed me there was 'Yes'. I had never seen a band like them, their drummer Bill Bruford completely knocked me out, still one of my all time favourites to this day as are Yes themselves , for all their pretentiousness. 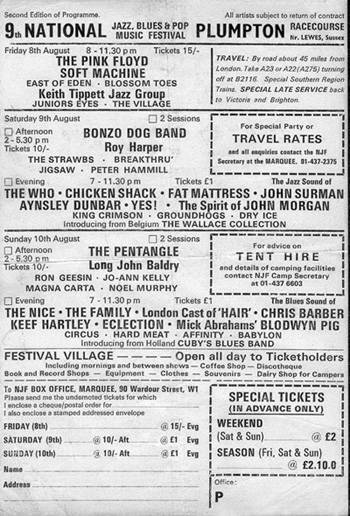 Following that festival I used to go and watch Yes at the Marquee in London as often as possible. I was 'made-up' when later on Steve Howe (already one of my favourite guitarists) joined them, but lost interest after Bruford left and went with Robert Fripp. These days I am still a musician by the way, but nowadays I no longer drum. I have a studio at home, and I compose for TV and film... nothing on a great scale but it keeps things paid. " Just stumbled across your site,much to my delight.I was one of the 2 lead guitars in Dry Ice who played an evening slot on the second stage on the sat.We,as far as I remember, didn`t suffer any equipment problems or power cuts and just wanted to finish our set so we could go and see The Who........who were great,as were the Bonzos.We spent most of the day in the bar (water only) as we were totally skint. Ran out of petrol on the way back to London. I went on to form Pluto with Alan Warner from The Foundations and Terry Sullivan,our drummer,,joined Renaissance,so I am the only one of the 3 not to have had a no.1 hit. Happy memories........keep up the good work!!!!!! NJABF Plumpton 1969 all three days. This is pretty well covered in your newspaper reports. 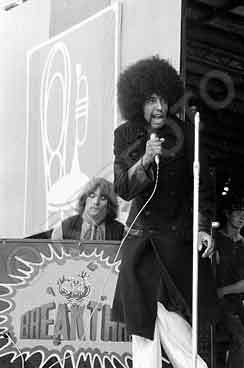 All I will add is that there was a lot of hostility towards the 'plastic hippies' who constituted the cast of Hair. They were booed off stage. Pink Floyd were a joy beneath the stars. I had heard King Crimson on the John Peel show and was looking forward to their set in the Marquee with great anticipation. I was not disappointed and the memory of Fripp sitting in black velvet beneath the white canvas is still one of my favourites.